„Here I Am” in UK Yes, that’s exactly what you’ll hear from the awesome guys of HALO. Access: starting with Platinum Halo from 17:00. 14+ (Under 16’s must be accompanied by an adult). ID required. * Platinum Halo: 90€ - Enter first in the venue. 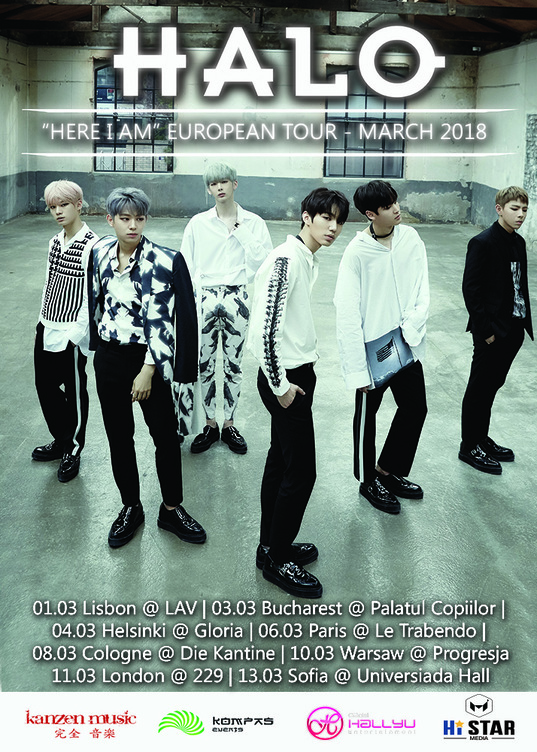 With this ticket you will have access to 2 songs of the band’s rehearsal, you'll get the Hi-Touch event and a group photo* with HALO at the end of the concert. • General: 30€ - Regular admission to the venue after VIPs has been let in.